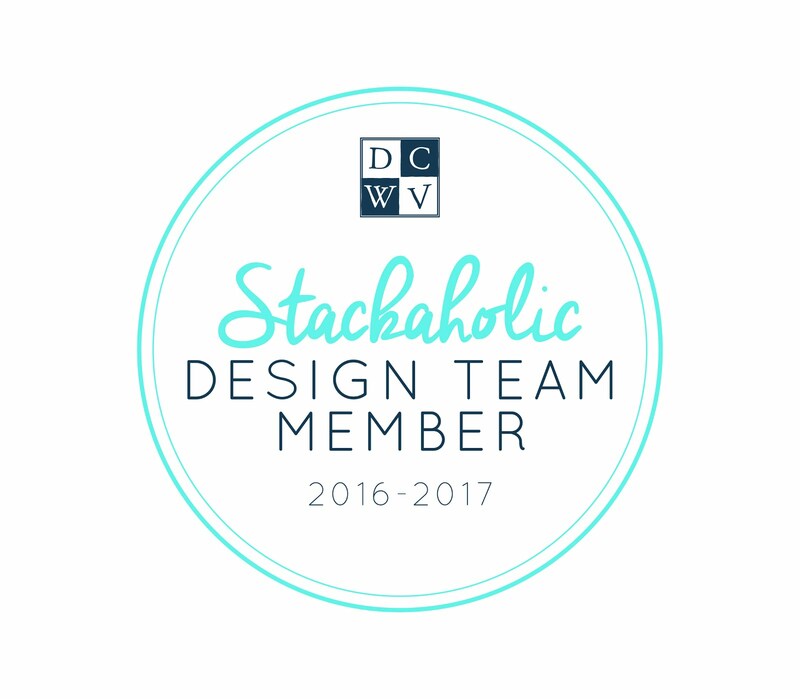 Oh my gosh I am so excited to share my Art Junk Journal with all of you. 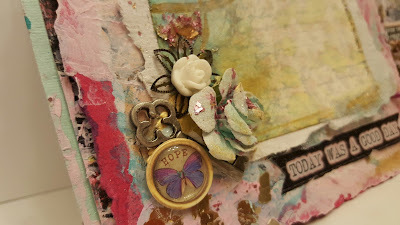 This is my project for Tsunami Rose Designed by Daisy Collins. I am using the Mechanical Error 6x6 Printable Journal kit for my project. It is so much fun to work with these kits. You just print out what you need when you need it. 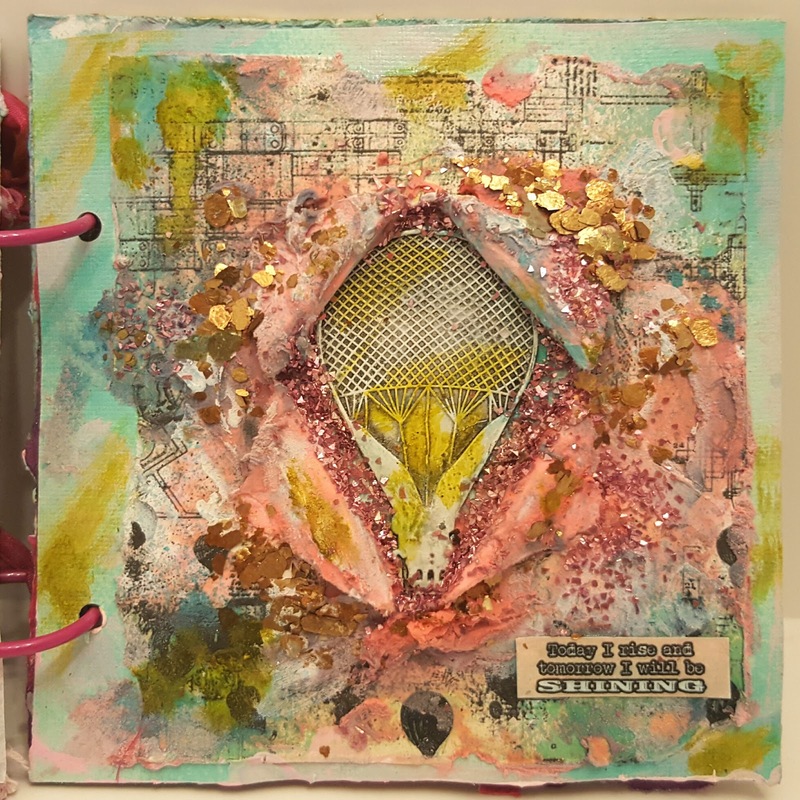 So no oh my gosh I only have three sheets of this paper. 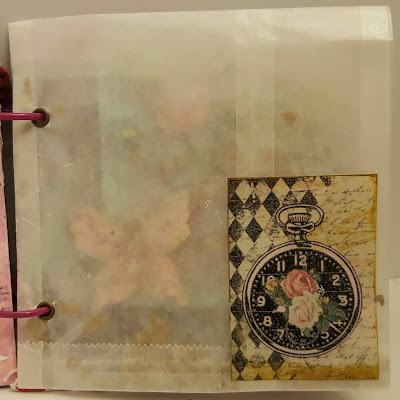 I printed on card-stock and vellum to add to this journal. I also used Mulberry type papers as backer pieces. 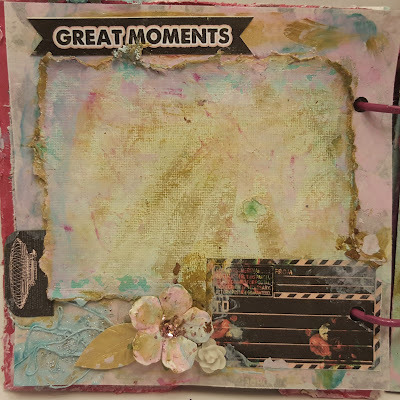 Here is just a quick pic of the cover. 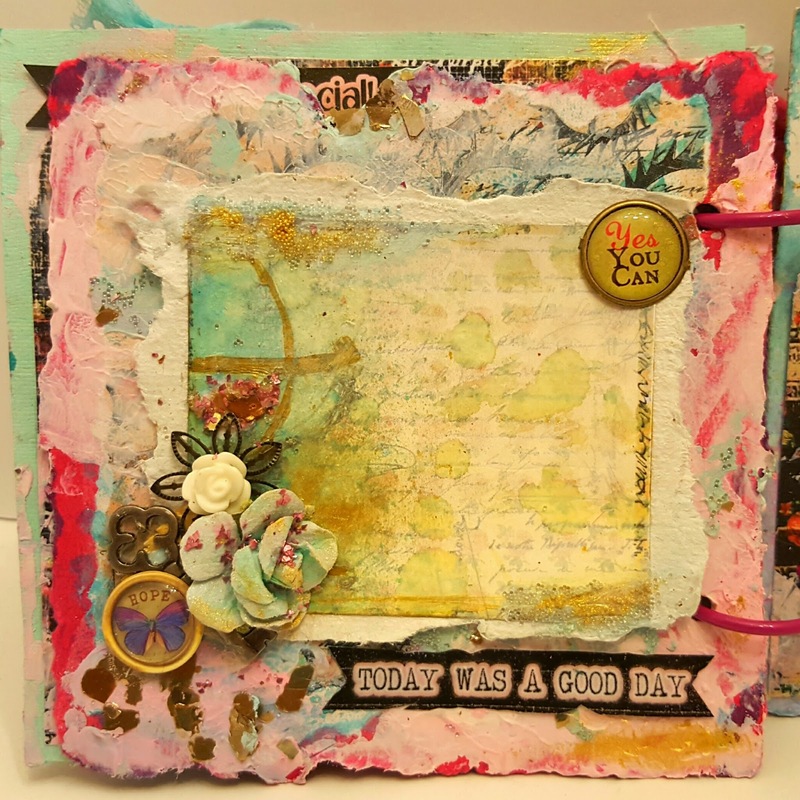 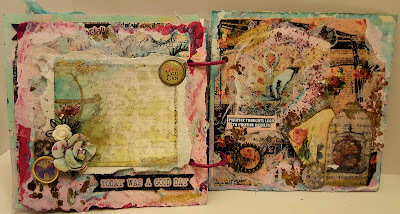 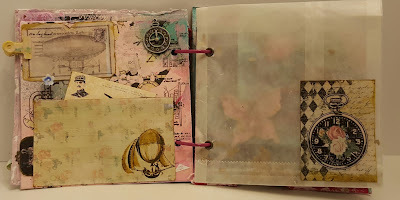 And you can see a flip through of my journal in my video below. 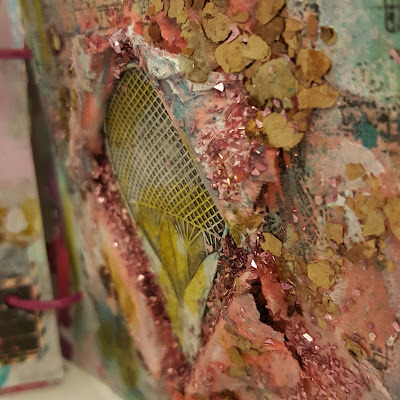 I call it that because I put about 20 hours into this Art! 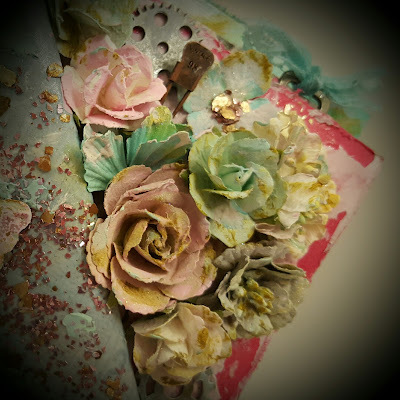 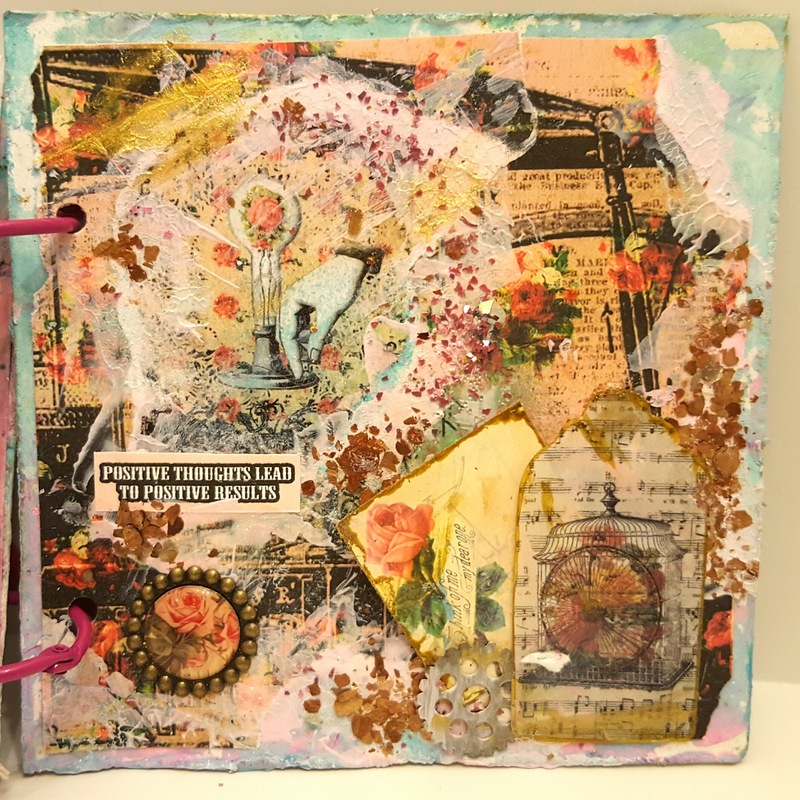 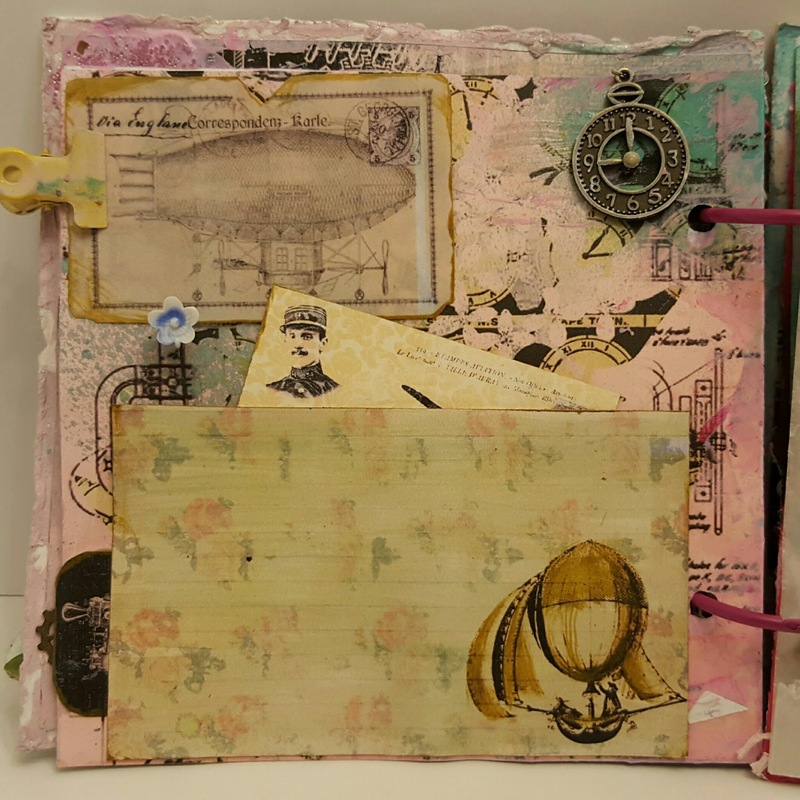 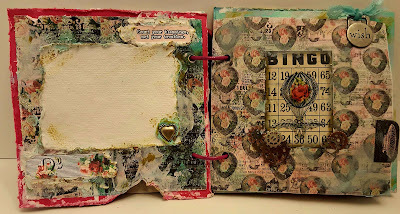 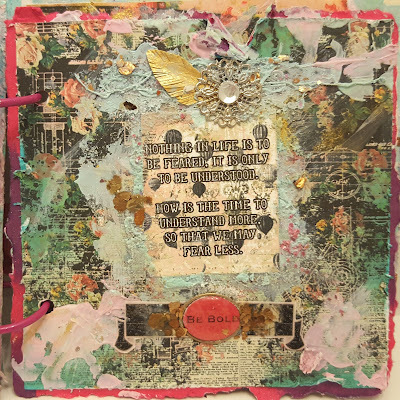 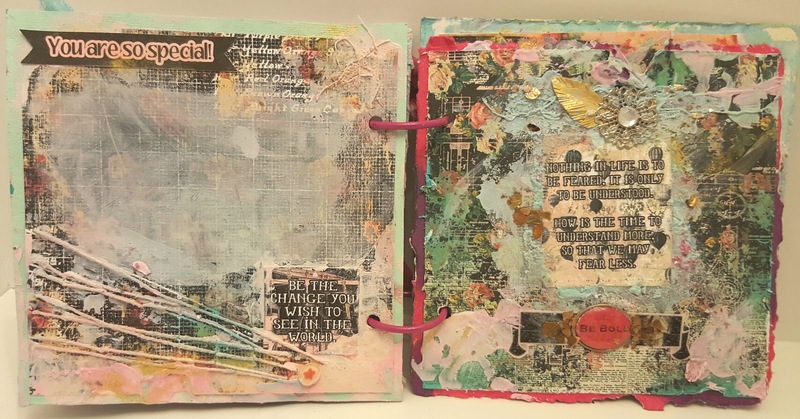 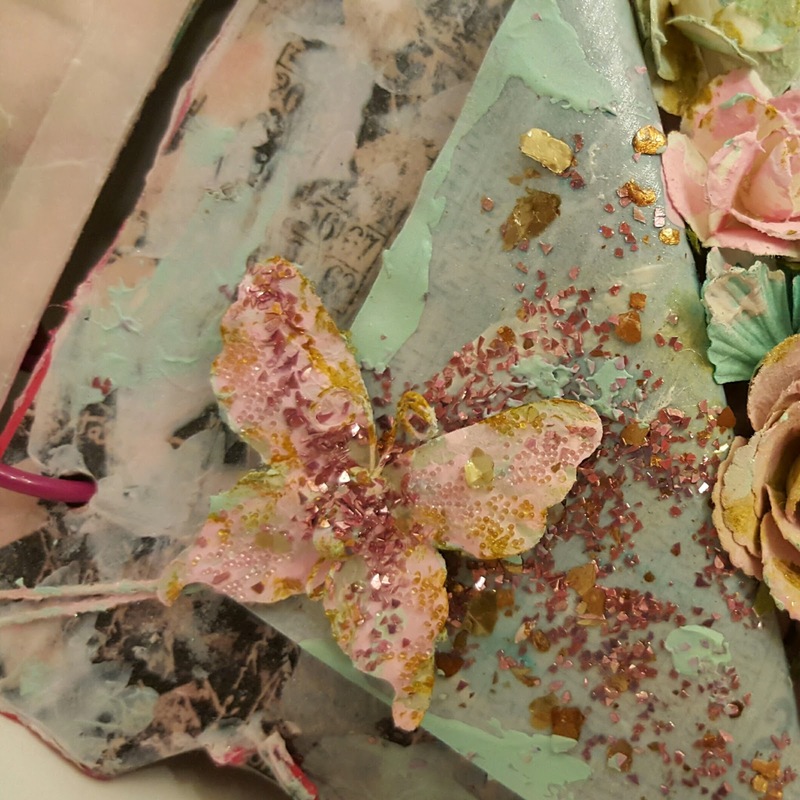 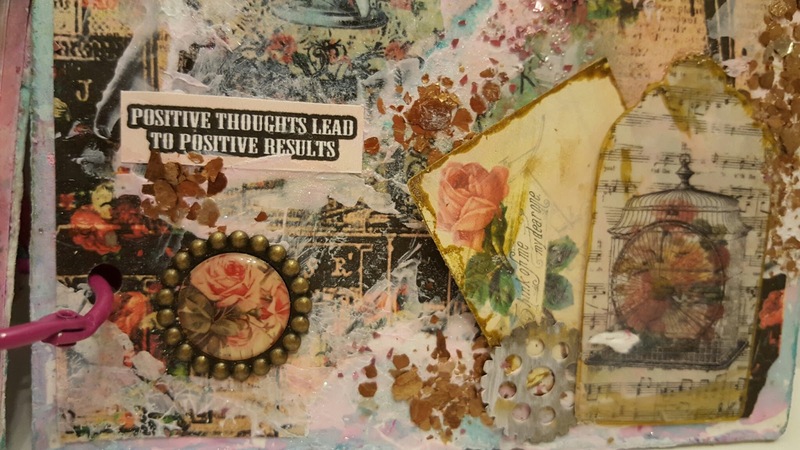 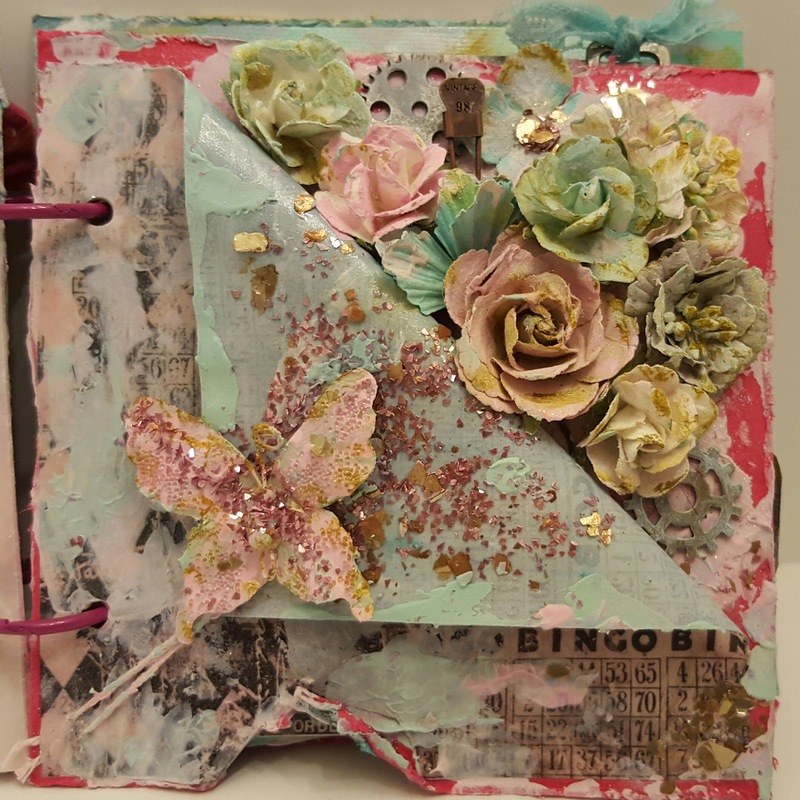 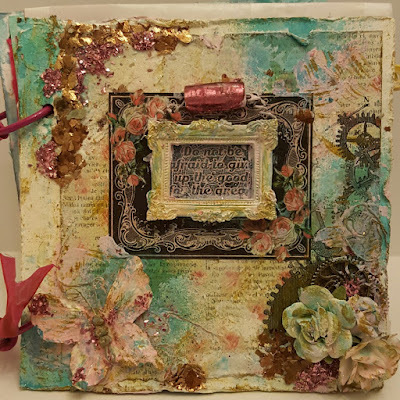 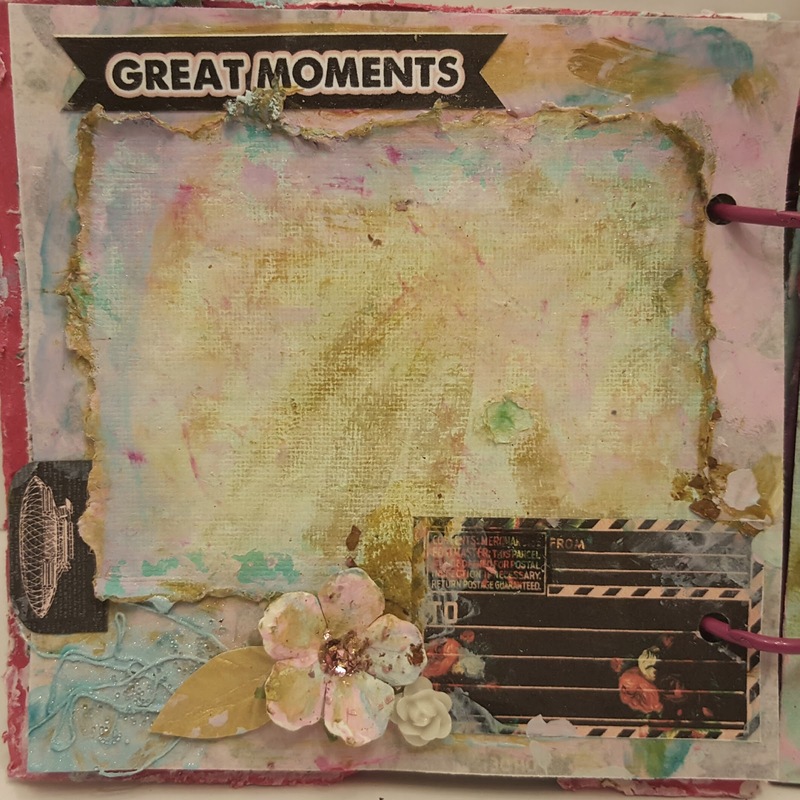 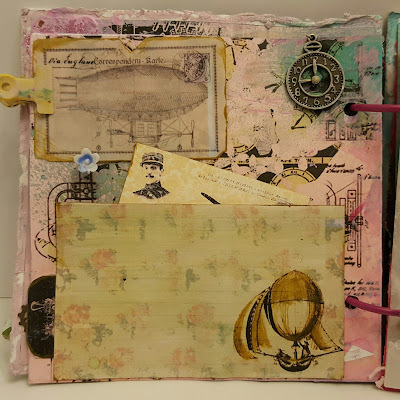 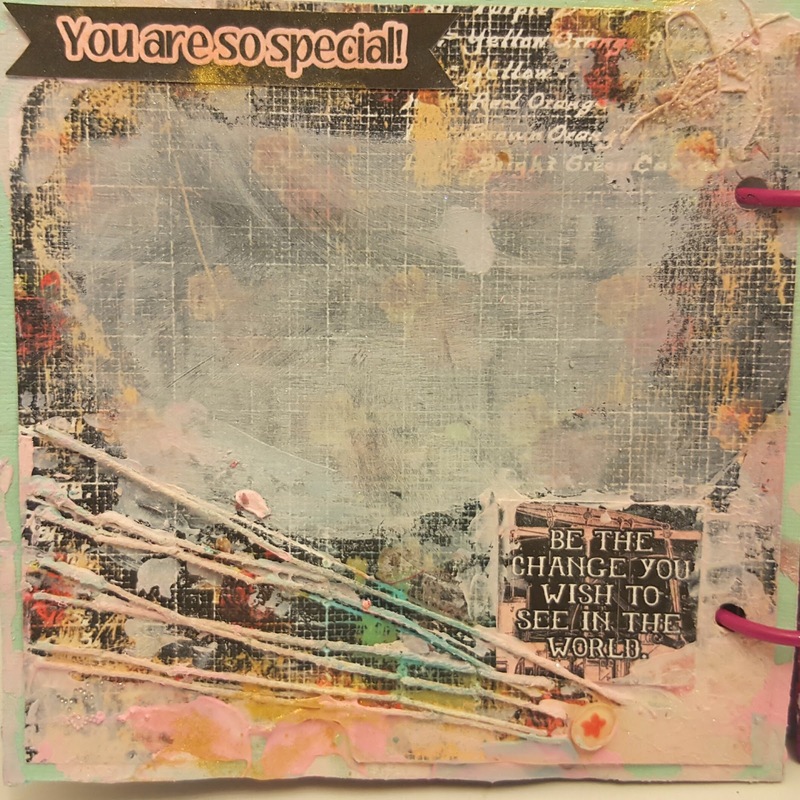 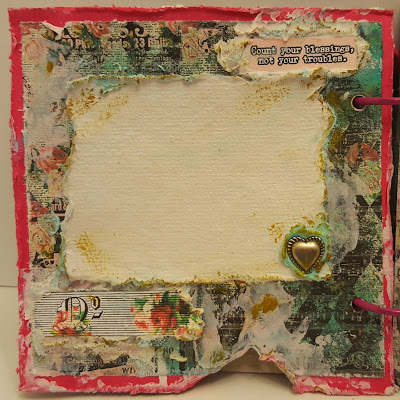 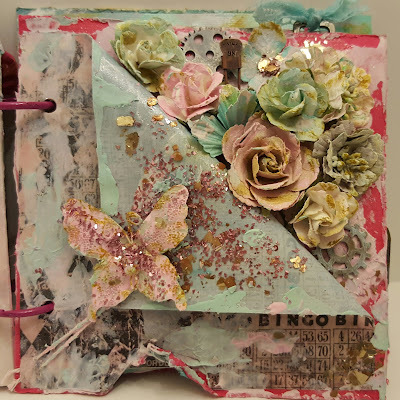 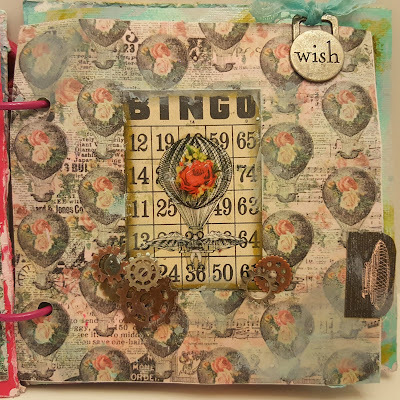 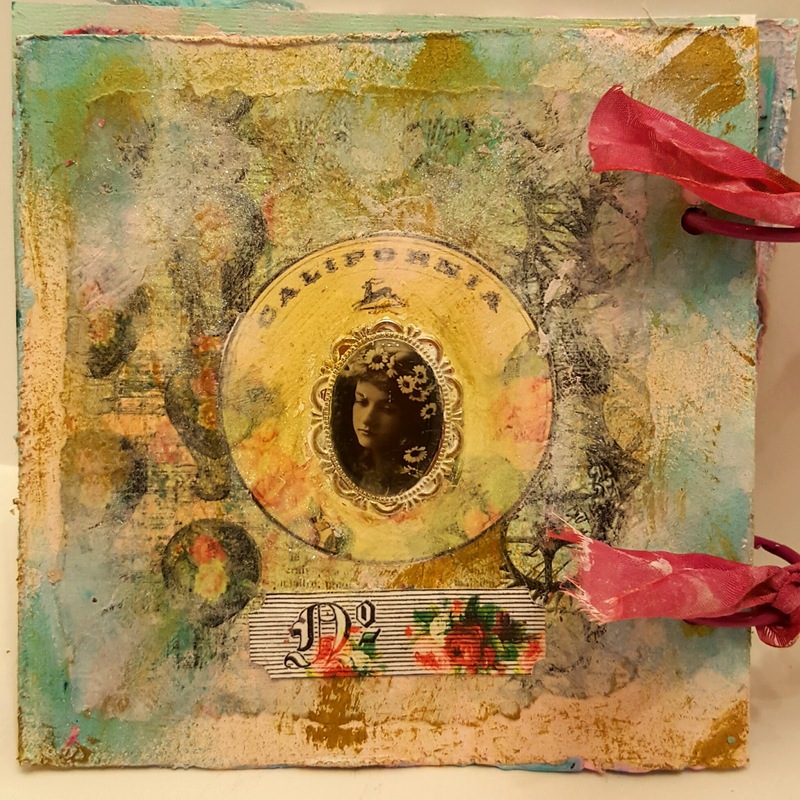 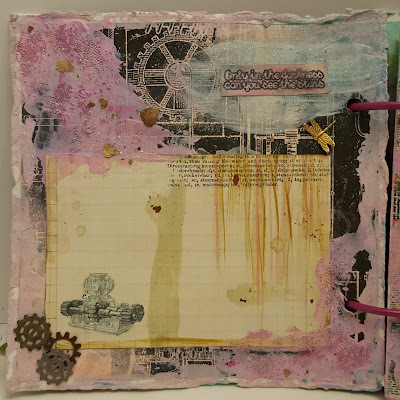 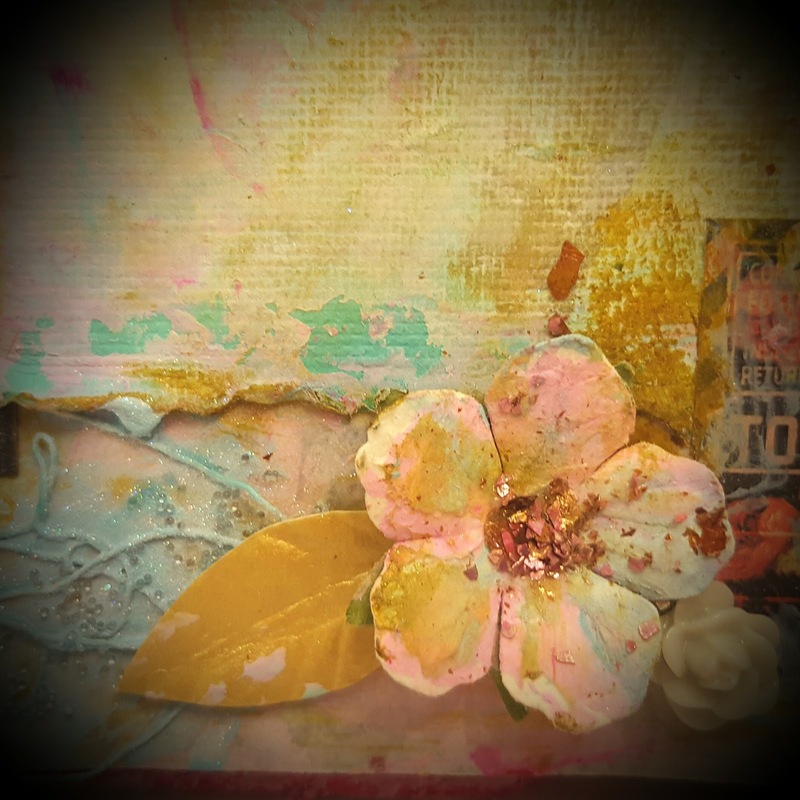 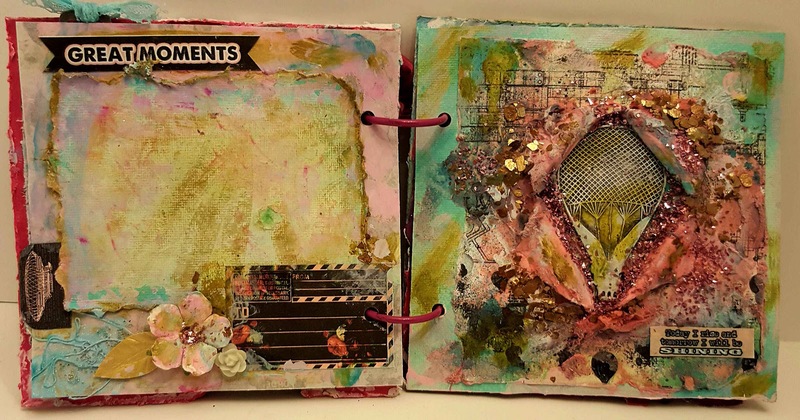 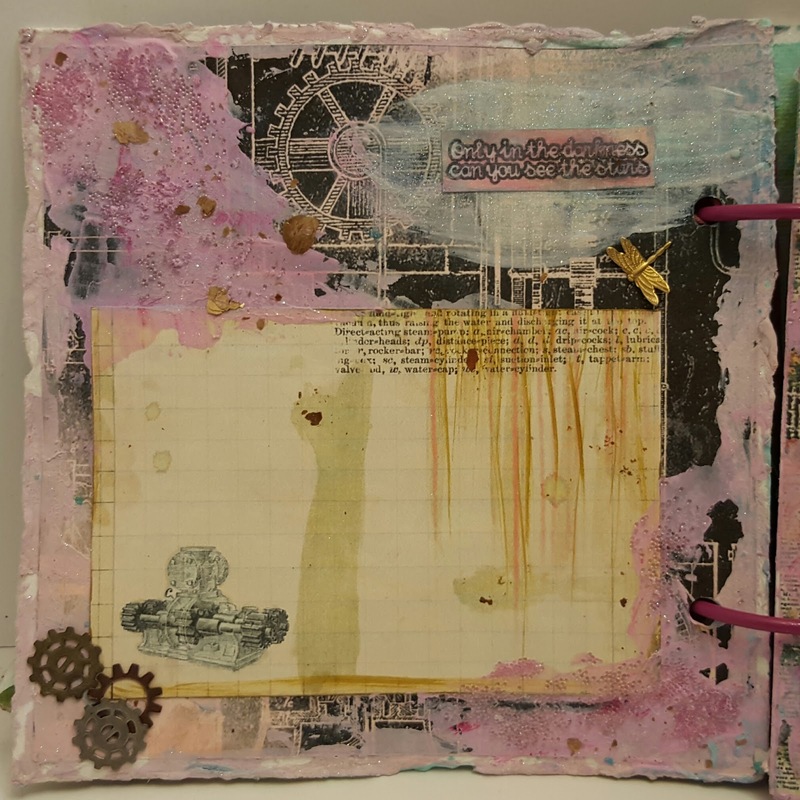 You will find, Metal gears, flowers, Mica chips, glass glitter, Micro glass beads, paint, String work, gesso, Heavy and Matte gel mediums, Embossing paste (modeling paste), fine dusted glitter, sprays and so much more in this Art Journal. If you have any questions about any of the techniques I did, please ask and I will create a tutorial on it. 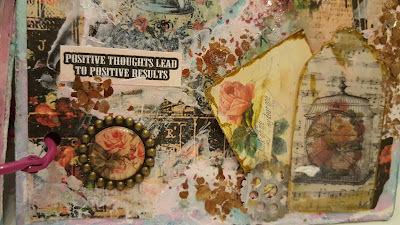 And you are all in luck. 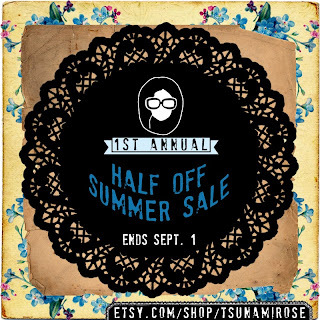 Tsunami Rose is having a half off sale going on through September 1st. So you can get this kit for Only $2.50 right now. 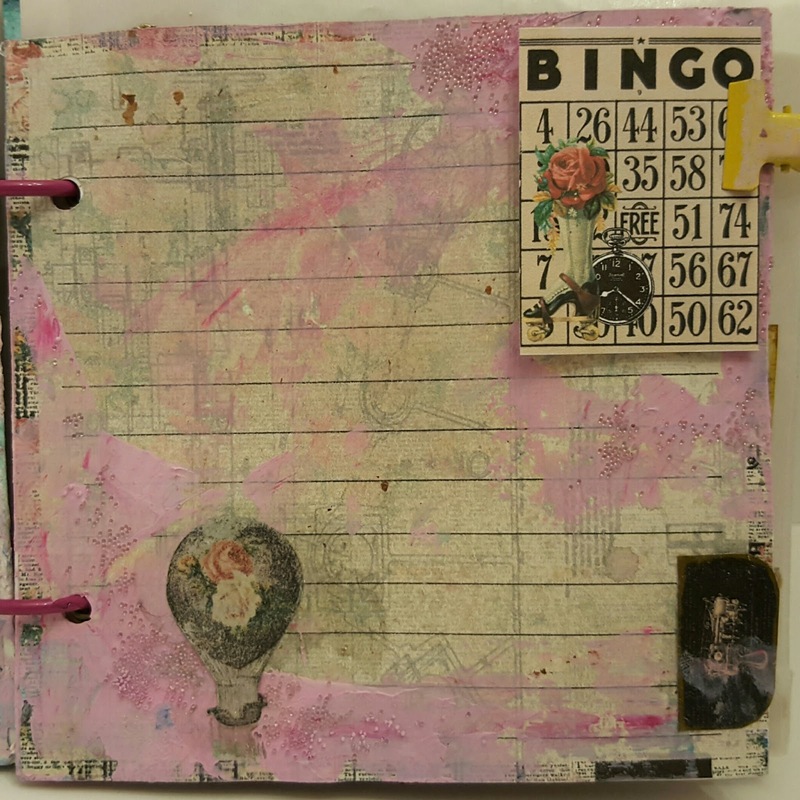 I KNOW crazy right. 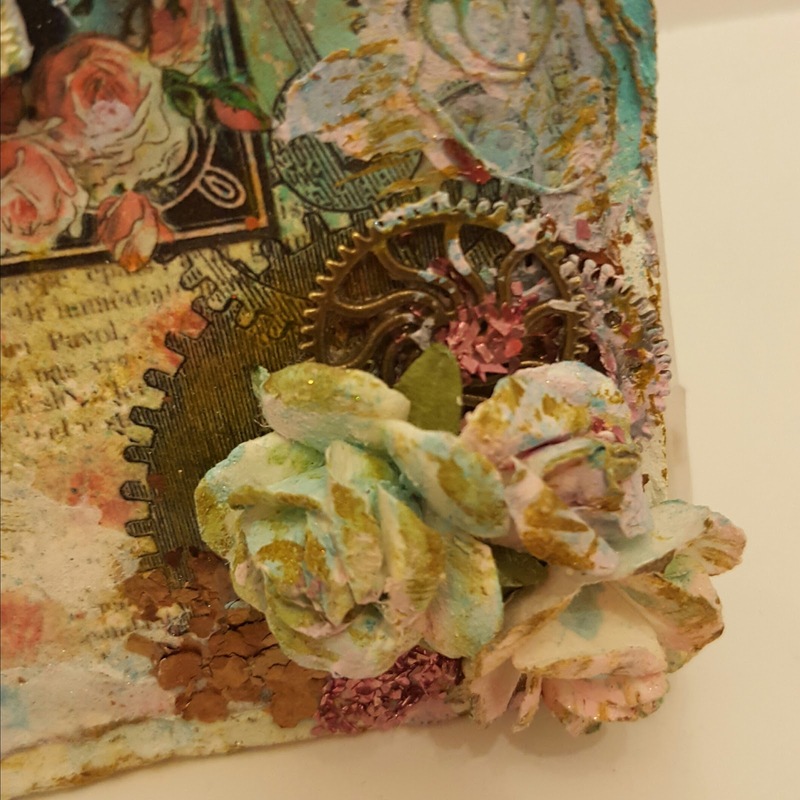 Just click on the post below to get yours now.